Get a +50% discount until February 2nd 2018. The online box-set price will more than double after that date. If you are not happy with the conference box-set for ANY reason, just tell us within 30-days and you’ll receive a full refund – no problem, no hassles, no risk, no worries. You’ll get permanent access to 24 interviews with world-class experts from 4 continents as featured in the 1st Inclusive Leadership Global Conference. Click HERE to see the brilliant line of speakers and sessions you’re about to watch. You’ll be able to watch the video and audio recordings online or download them, and listen to them whenever and wherever you want. This is Online Box-set for individual users only. 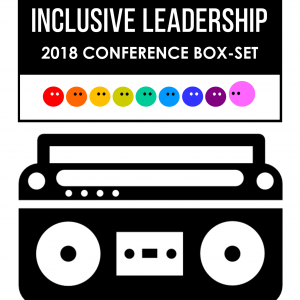 If you wish to purchase it for your organisation or team, please click HERE to see the Conference Online Box-set for groups. You’ll get the inclusive leadership self-assessment: a 30-question assessment that allows you to identify where you are on the inclusive leadership journey. You’ll get the chapter “Navigating cross-cultural differences” from the book “Succeed as an inclusive leader: winning leadership habits in a diverse world”, by Thais Compoint. Attract people with diverse perspectives. Improve customer service, engagement, productivity and innovation in your team. Reach your business goals more easily, while bringing out the best in the people around you.